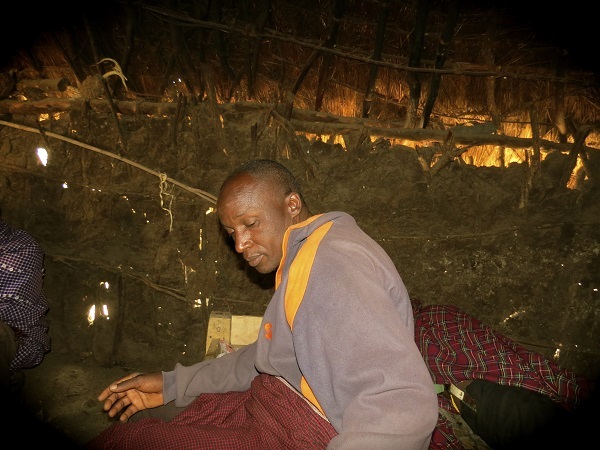 Katesh — After a fifty-year struggle against land grabbing by foreign agribusiness corporations, nomadic pastoralists in the Hanang District of Eastern Tanzania have finally won Certificates of Customary Right of Occupancy pursuant to the 1999 Land Act No. 5. With legal assistance from The Ujamaa Community Resource Team, The Barabaig and Masai in the villages of Mureru, Mogitu, Dirma, Gehandu and Miyng’enyi now have much needed access to approximately 5,500 hectares of grazing land for their cattle. While several villages have benefited from the decision to enforce the 1990 Land Act No. 5, the Barabaig of the Basuto Plains have not been recognized in the latest issuance of Certificates of Customary Right of Occupancy. The Barabaig have been engaged in a fifty-year struggle to maintain their cultural integrity against the jurisprudent land policies of privatization and villagization, which have systematically suspended their constitutional rights and legal protections. The powerful infiltration of neoliberal forces culminating in land and resource grabbing has fashioned a geographical landscape of displaced indigenous peoples struggling to restructure their lives in uninhabitable terrain that supports relatively few life forms. 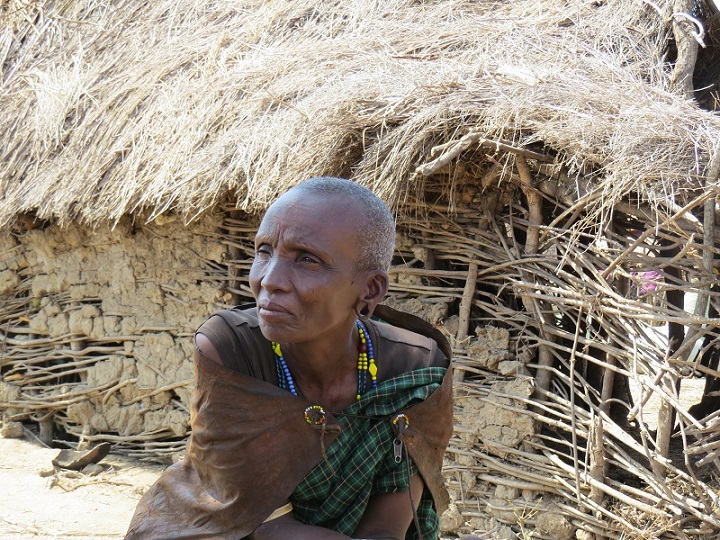 While recording mythohistories amongst the Barabaig women, I have had the opportunity to witness first hand how the Barabaig have resisted globalizing forces that have pushed them to the farthest regions of the Basuto Plains. This philosophy treats land as a fundamental right of human needs and not as commodity. This sentiment is further expressed in “The Nyerere Doctrine of Land Value” in the case of Attorney- General v. Lohay Akonaay and Another (Sabine 1964). [i] Accordingly, it is the public who possess land rights and an individual has a right to occupancy to use the common land belonging to the public. The duration of the Right to Occupancy can last from anywhere between 33 to 99 years depending on location and usage. The 1923 Land Ordinance of 1923 to 1999 referred to this title as a Deemed Right of Occupancy, based on occupation to confer ownership. “The majority of the people living in the rural areas—and who form more that 80% of the population of Tanzania hold their land under this system” (Peter 2007). Today, President John Magufuli is the trustee of Tanzanian public lands and it is Magufuli who has the power and authority to decide what is in the public’s interest in terms of land decisions. Magufuli holds the power to “repossess land on behalf of the public for construction of roads, schools, hospitals etc.” (Peter 2007). Land can and has been taken from indigenous peoples without compensation for the land. In return the occupier is compensated for unexhausted improvements to the land, including houses, structures, crops; however, the occupier is not compensated for the land itself. The implementation of the commoditization of land and resources can be seen in the 1960 decision to cultivate wheat in the Arusha Region of Hanang District. The United Republic of Tanzania along with the Canadian Food Aid Programme launched the Basotu Wheat Complex securing ten thousand acres of Barabaig land for wheat farming. In 1970, the National Agriculture and Food Corporation (NAFCO) expanded the project developing several large scale wheat farms securing 120,000 hectares of Barabaig pasture land, including homesteads, water sources, sacred burial grounds, and wild life. Sadly, many Barabaig were unaware of the legal maneuvering for their land and first found out about it when tractors ploughed through their homesteads. According to reports and interviews, NAFCO failed to give due process to people living on their land at the time and were deemed to be trespassers on their own property. Chief Daniel recalls how he was jostled from sleep and ordered to leave. “We were forced off our own land by gunpoint,” he said. In the 1981 Case of National Agricultural and Food Corporation v. Mulbadaw Village Council and Others, the Barabaig sought legal protection and sued the National Agricultural and Food Corporation (NAFCO) for trespass on their land at the High Court of Tanzania in Arusha. While the High Court of Tanzania (D`Souza, Ag. J.) ruled in favor of the Barabaig Plaintiffs, stating that the Barabaig occupied land under customary title, the Court of Appeal of Tanzania overturned the decision and ruled in favor of NAFCO stating that, “The Plaintiffs/Respondents – Mulbadaw Village Council did not own the land in dispute or part of it because they did not produce any evidence to the effect of any allocation of the said land in dispute by the District Development Council as required by the Villages and Ujamaa Villages Act of 1975” (Peter 2007). In effect, the Village Council had trespassed by entering their own traditional lands, the Court of Appeals ruling that the villagers failed to meet the burden of proof that they were natives within the meaning of the law. 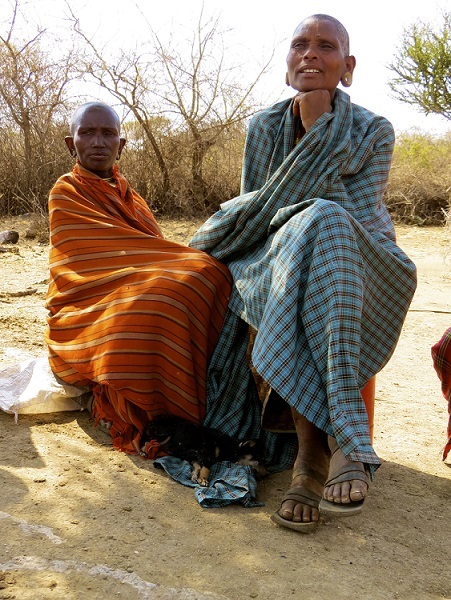 Legal analysis of case precedence is evidence that the Tanzanian government discounted Barabaig collective customary rights, discounted Barabaig tripartite land holding practices, ignored detrimental ecological effects derived from alienation of pastoral lands, and moreover privileged the privatization and commodification of land and foreign and national interests over local indigenous rights. Political power backed by powerful interest groups proved in this case study that power is not the same as law and that in the world of nation-states, placelessness and dispossession is a political byproduct of globalization. In 1987, Tanzania, submitting to pressure to follow “global norms of behaviour,” decreed the Extinction of Customary Land Right Order. This extinguished land occupation under customary law, precluding Barabaig from exercising customary land rights protection (Larson and Aminzade 2009). Subsequently, when the Barabaig migrated during dry seasons, they left their lands with little evidence of occupancy, resulting in encroachment by external forces. The government began the process of Villagization, whereby the Barabaig were given portions of unused land deemed unsuitable for commercial purposes with little water resources. The Barabaig were subsequently settled (land-locked) in villages. The Villagization of the Barabaig drastically interfered with customary land practices, nomadic land use patterns, and livestock herding traditions. According to Shivjii Chairman of the Presidential Commission of Enquiry into Land Matters, the movement of people into villages was achieved with “little regard to existing land tenure systems and the culture and custom in which they are rooted” (2007). The Barabaig surrendered their traditional migratory herding strategies and were forced to graze their cattle in a migratory cycle marked by a restricted one-day distance from their homestead. The concentration of livestock on this pattern of limited grazing has adversely impacted its ecosystems resulting in a “decline of levels of pastoral production and welfare” (Peter 2007). The Land Tenure reform is based on the premise that indigenous land tenure systems act as an obstruction to development and that more formal registered land title will encourage rural land users to make investments to improve their land investments through the provision of credit. The Tanzanian administrative structure grants each village a statutory title to land and further argues that granting titles and providing credit for land improvements will thwart encroachment by external forces; however, under the Customary Land Ordinance this has led to the holding of double titles leading to further complications of legality of ownership. The Barabaig case provides contrary evidence demonstrating that both objectives have failed to ward off encroachment by outsiders to enclose land for crop cultivation. In addition, Land Use Appropriation by Foreign interests have interfered with traditional migratory patterns to water sources, denying Barabaig access to water during the dry seasons. 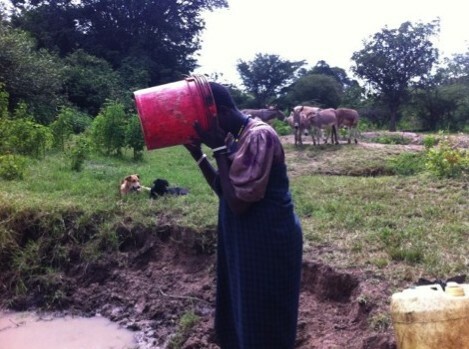 Traditionally, Barabaig herders migrated eastward out of the village in the dry season to gain access to permanent water sources on the shores of Lake Balangda Lelu. 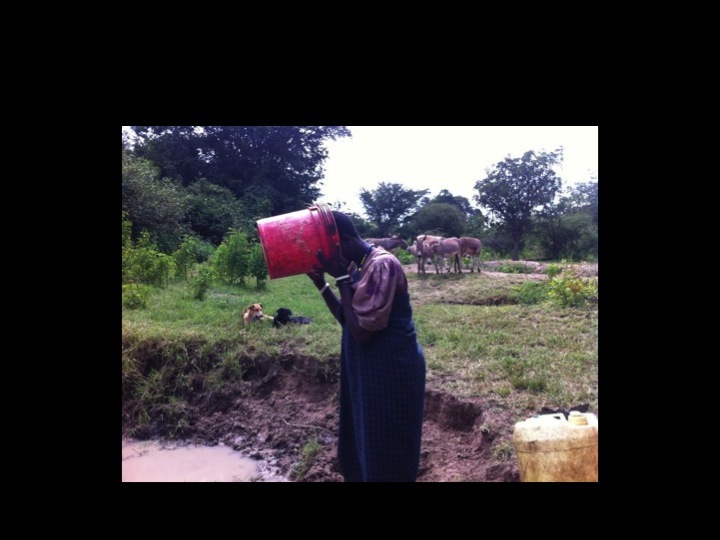 The land allocation plans fail to recognize the indigenous needs of water sources; moreover, these allocations do not take into account the complexity of the traditional land use patterns in and beyond village boundaries. Because the Barabaig follow an animistic belief system that recognizes the interdependency and reverence of all life forms, displacement from their land and ancestral gravesites disrupts their sacred patterns of worship and traditional ways of being and living in the world. 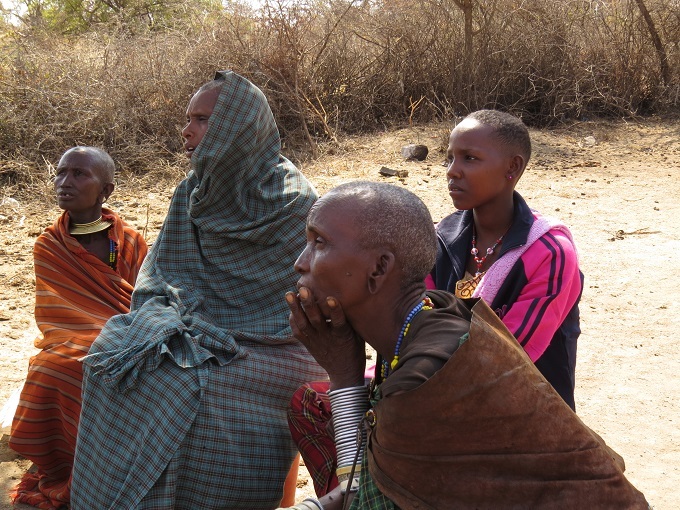 The Barabaig were unaware of the Land Use Planning Provisions at the time and hence did not object to them because they did not realize how it would limit their migratory grazing patterns and obstruct their traditional livelihoods. According to Barabaig Chief Leader Daniel, plans were purposefully “ambiguous” and unclear with little account taken of their pastoral economy. Facing starvation, many pastoralists experienced a sense of cultural, spiritual and economic placelessness, and have been forced to give up their livelihood and migrate to squatter settlement areas in Arusha or Dar es Salam. “They fill the perio-urban shanties to eke out a living as best they can in the informal economy or become burdens of the state as the industrial and commercial sectors have no capacity to absorb more workers” (Lane 1990). The issuance of Certificates of Customary Right of Occupancy provides a temporary legal tourniquet against the inhumane assault on indigenous livelihoods. According to Attorney Edward Ole Lekaita from The Ujamaa Community Resource Team in the Arusha District, efforts have begun once again to take up the legal gamut to secure customary title deeds for the Barabaig of the Basuto plains. About the author: An interdisciplinary ethnographer, Mary Louisa Cappelli is a graduate of USC, UCLA, and Loyola Law School whose research focuses on how indigenous peoples of the global South struggle to hold onto their cultural traditions and ways of life amidst encroaching capital and globalizing forces. She previously taught in the Interdisciplinary Program at Emerson College and is the director of Globalmother.org, a Tanzanian WNGO, which engages in participatory action research and legislative advocacy in Africa and Central America. Aminzade, R. and Larson, E. “Nation-building in post-colonial nation-states: the cases of Tanzania and Fiji.” International Social Science Journal Vl. 59: (2009):1468-2451. Lane, R. Charles. “Barabaig Natural Resource Management: Sustainable Land use under Threat of Destruction.” United Nations Research Institute for Social Development Discussion. Discussion Paper (1990): No 12. 1952-1965. London: Oxford University Press, 1966. Peter, Maina, Chris. “Human Rights of Indigenous Minorities in Tanzania and the Court of Law.” Journal of Group and Minority Rights, 2007. Sabine, G. H. A History of Political Theory, London: George G. Harrap & Co. Ltd, (1964): 527-528.